New to the world of birding? Not sure if that bird in your binoculars is a warbler or a sparrow? This is the class for you! Locations: Fairfax High School, Fairfax, Virginia; Saturday field trips at locations in Northern Virginia to be identified. We will spend an evening in the classroom focused on the basics: Why go birding? What is birding? What about binoculars, field guides, and phone apps? 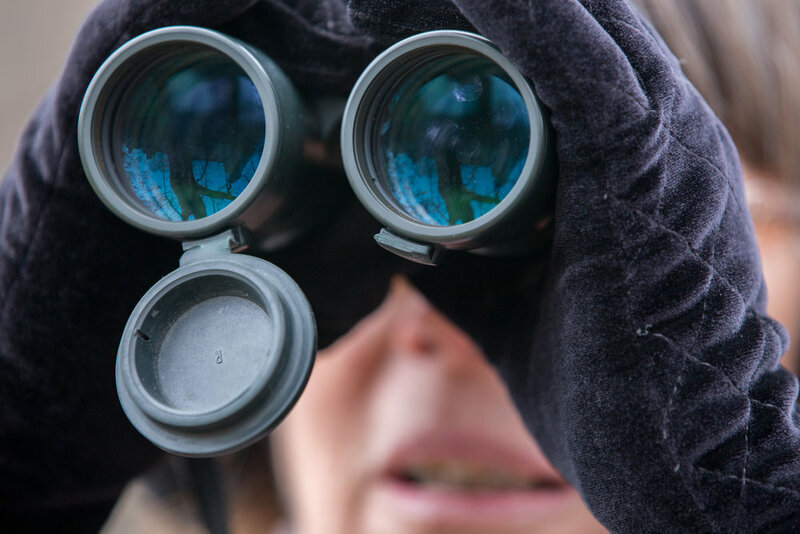 How can you get started identifying the birds you see? Where can you go birding? On the two Saturdays following the class (October 6 and 13), we will go birding! This field experience will put classroom lessons into action. We will visit two of Northern Virginia’s many excellent birding locations, to be identified. For the class and field trips, please bring binoculars if you have them. During class we will go over how to adjust your binoculars for optimum vision. If you don’t have binoculars, please let me know, and I’ll try to find a pair you can borrow. On the field trips, be sure to bring sunscreen, water, and insect repellent. Dress for the weather and wear comfortable but sturdy walking shoes. A hat is also recommended. Dixie Sommers has been an Audubon member since 1986 and became a serious birder after moving back to the Washington area from Ohio in 2006, adding to her long interest in nature photography and travel. She is an avid e-Bird user and enjoys using photography to help learn the birds. You can see her photos at www.ddpix.smugmug.com. Dixie also leads bird walks for ASNV and the Northern Virginia Bird Club. In addition to favorite places in Virginia, her recent birding travels include Peru, Guatemala, Spain, Belize, Costa Rica, Alaska, Oregon, Ohio, and Florida. Dixie lives in Alexandria and retired from the U.S. Bureau of Labor Statistics after a long career of counting jobs and workers. Now she counts birds!